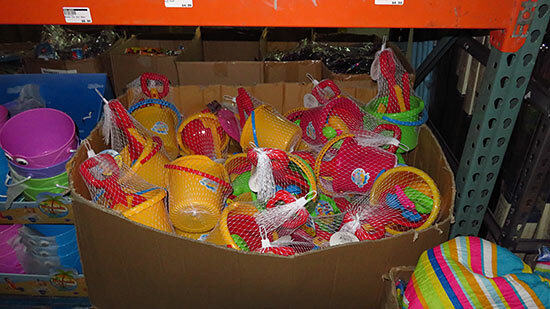 Back when we lived in Canada, at least one Saturday per month was spent at Costco. Whether it was for food, clothes or household items, walking through the rows and rows of goods and shopping at a discount was a monthly ritual. We met Statchel one morning when my Mom popped in to pick up Christmas ornaments and cleaning products. Warm, with a quick mind and a jovial spirit, Statchel is an exceptional man. He goes the distance to make sure every customer is beyond satisfied with their experience at Megasavers. Here, the customer always comes first. 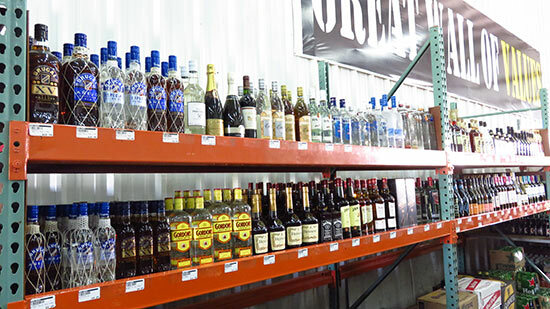 Located in a large warehouse in The Farrington, Megasavers is hard to miss. 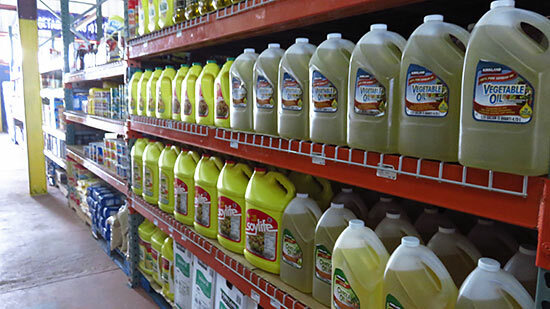 Inside, aisles are well-stocked, covering every need. ... such as ironing boards and towels, they have it all. 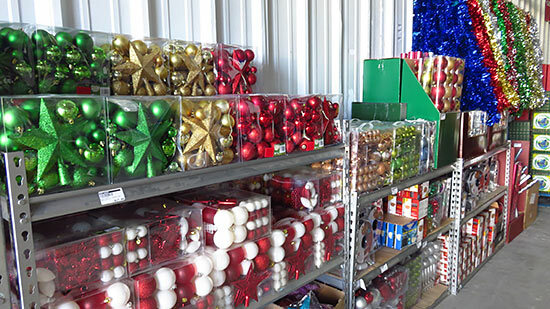 With shipments arriving regularly, the variety is plenty and their stock is always being updated. "Membership are $10 per month or $100 per year," he explained. "If you are a member, you pay the price listed on the shelf. 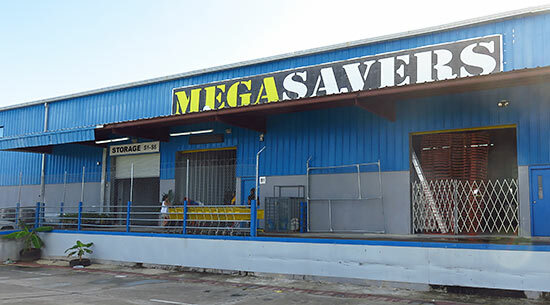 If you are not a member, you can still shop at Mega. The only difference is that non-members pay 12% extra on goods." With affordable member prices, the membership at just $10 for one month, is an exceptional deal! Statchel has designed a special Anguilla Beaches Membership available exclusive to Anguilla Card Holders. 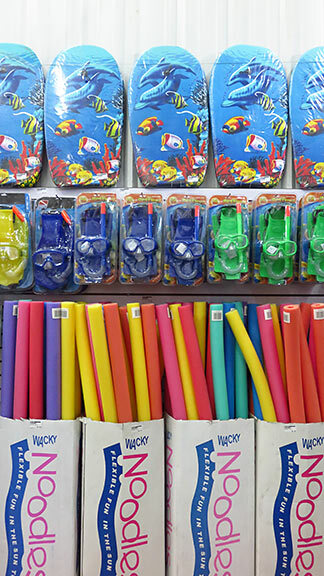 The idea came about when we were browsing through all of Megasavers' beach goods. Floats perfect for the sea. 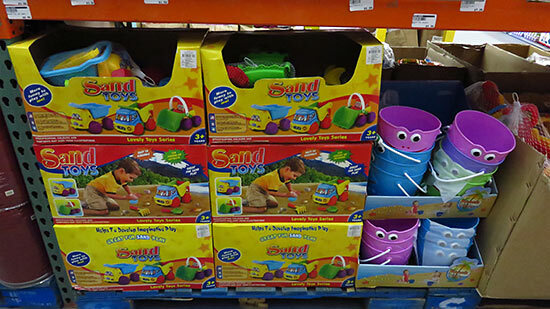 Toys for the young ones who want to play in the sand. 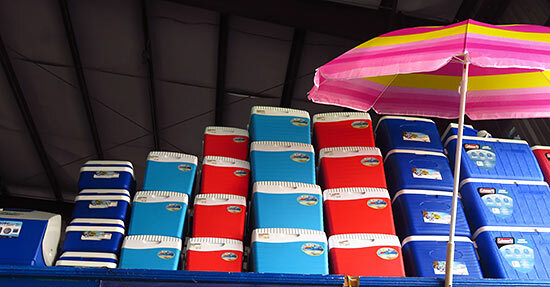 Statchel stocks a number of quality, affordable beach products. Buy anything beach related with your Anguilla Card (items listed above -- does not apply to other items) and receive a 10% discount on the shelf price. ... and you do NOT need a Megasavers membership to get that discount. That saves you 10% on the shelf price plus the 12% mark up you would normally pay without a membership! With many terrific non-beach goods available, I would encourage everyone to purchase a monthly membership to take advantage of Megasavers' other discounted goods. 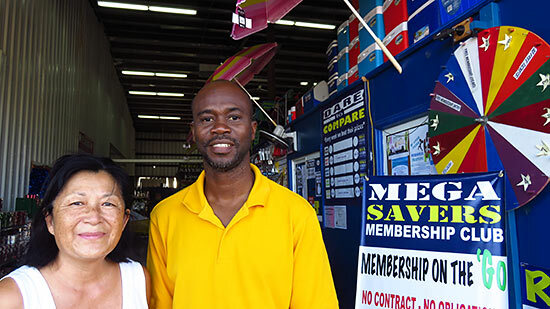 And, if you are a Megasavers member with an Anguilla Card, you still save the 10% on your beach items. An Anguilla Card Holder or not, with or without a Megasavers membership, with Megasavers on-island (and open every day of the week! ), there is no need to weigh suitcases down with heavy necessities when traveling to Anguilla. Sandals, scales, brooms, t-shirts, whatever it is you need, chances are Megasavers has it. Visit their Facebook page (link below) for updates on their stock, and drop in and pay Statchel a visit! Directions: Megasavers is located in The Farrington. If you are coming from the west, drive as if you are going to Proctor's. Keep going past Proctor's, Saint James Medical School, Omololu and a blue car wash. You will see Megasavers just a few seconds after the blue car wash in a large warehouse on your right.